The base isn't too fussy, and it's fairly simple to build. Originally I hoped to encase it and have cabinets for storage, this never happened. 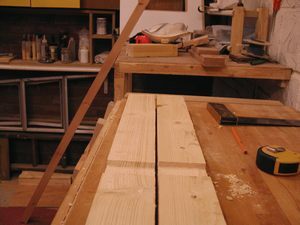 I have cut 4 legs from basic 2x4 pine. These are strong, cheap and will for ideal legs. 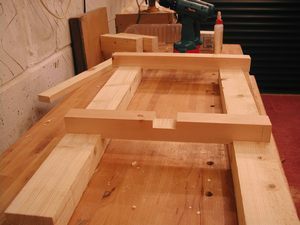 I have notched out 2 sections of each legs, this is done easily with a tennon saw and a chisel this is simular to a half lap joint. I am doing this because I have some time on my hands to simply add a bit of ridgidity to my assembly. 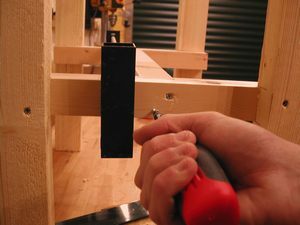 If you don't know how to make these basic joints, you could just use bolts and nuts, and glue or even heavy gauge screws. It would probably hold together just aswell. I have cut 2 horizontal members, these will hold the 2 legs together, I have an idential assembly for the other side. 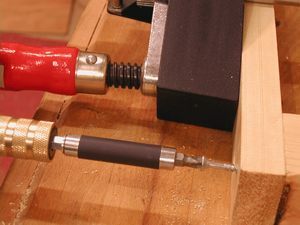 You will notice the lower member has a notch, this will accept a part to connect the 2 sides together. 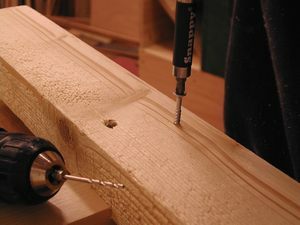 I am using some long screws to hold the cross members to the legs, aswell as glue. 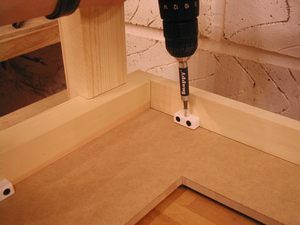 This will connect the 2 sides together, and will be directly underneath the tabletop. Again these are held with screws and glue. It becomes more clear on the step after next where these are located. This is the part which will connect my 2 leg assemblys together, it will be accepted by the 2 notches cut on either end, and it held with strong screws and strong glue! 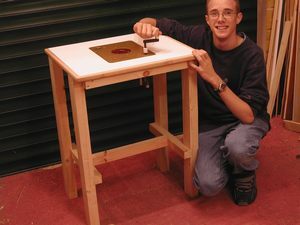 I am attaching my table top with some plastic fixing blocks and screws. This will allow me to remove it easily if I ever need to. 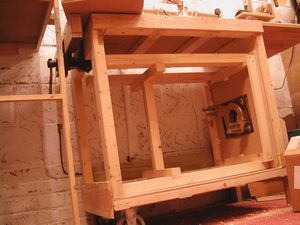 Now its starting to look like a router table, the bulk is complete and its certainly stable and strong. 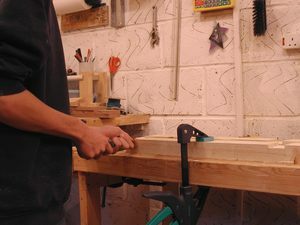 You can see how it fits under-neath my workbench when not in use, this is really a good space saving idea. Before this space was empty.